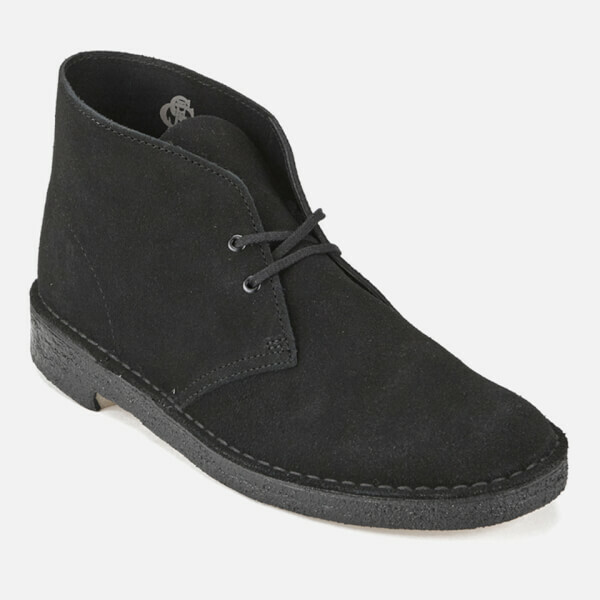 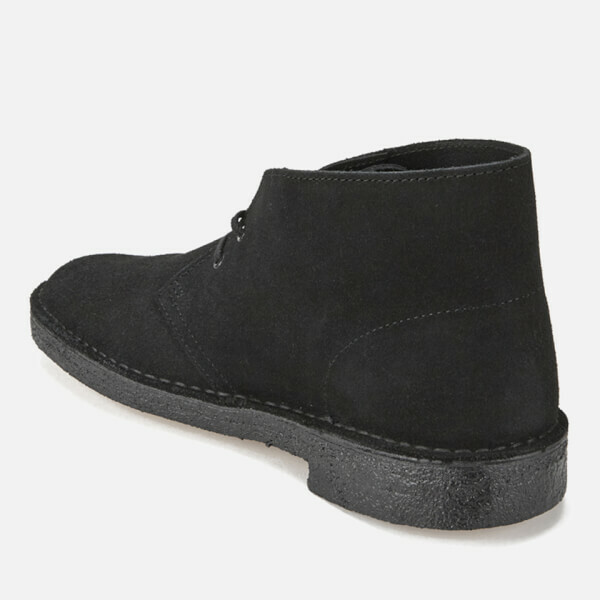 Men’s black suede Desert boots from British heritage shoemakers Clarks Originals. 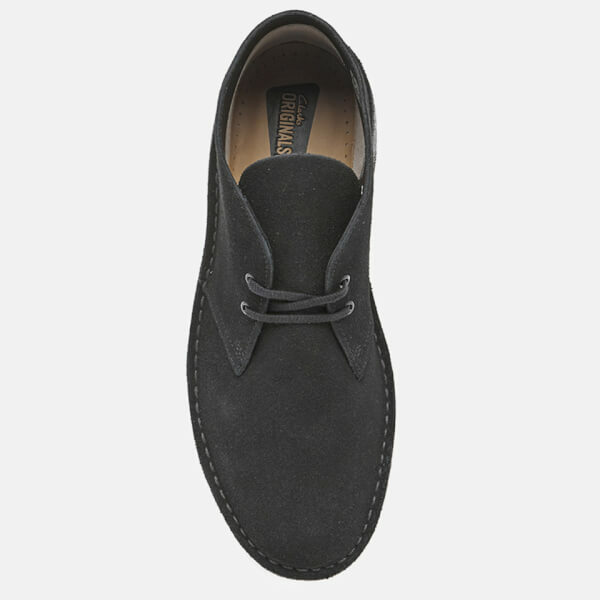 Originally launched in 1950 by Nathan Clark, the Desert boots are crafted with authentic English Bronto suede uppers featuring a two eyelet lace-up fasten, rounded toe and tonal stitching around the welt. 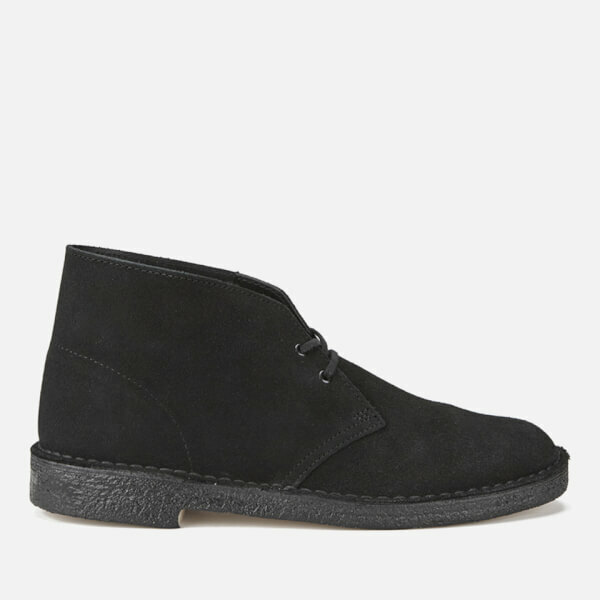 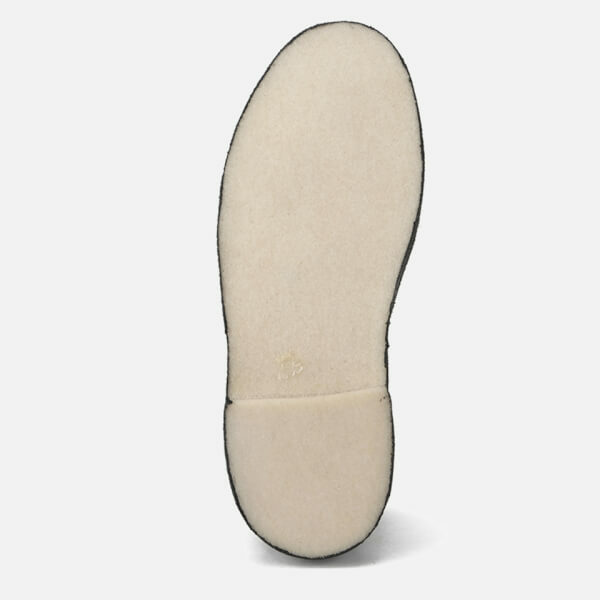 Set on a durable crepe rubber sole, the Desert boots are complete with a cushioned insole and a suede Clarks Originals brand tab.